Disclaimer: This post contains affiliate links. The opinions are my own. My baby boy just turned a year old. So far we’ve been pretty lucky in the doctor visiting department. 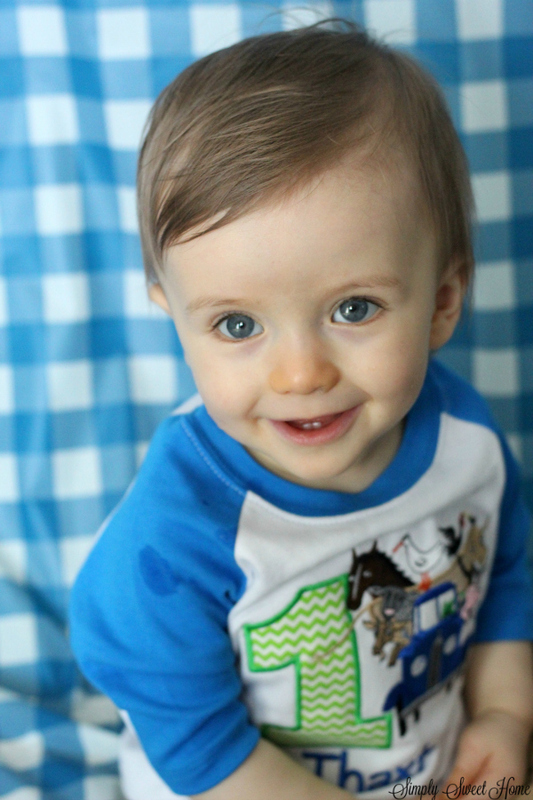 He got his first case of the sniffles a couple of months ago, and right now we are currently battling an ear infection and virus at the same time…but considering the fact that he’s already a year old, and I hear about so many people going back and forth to the doctor that first year, I am considering us very lucky! 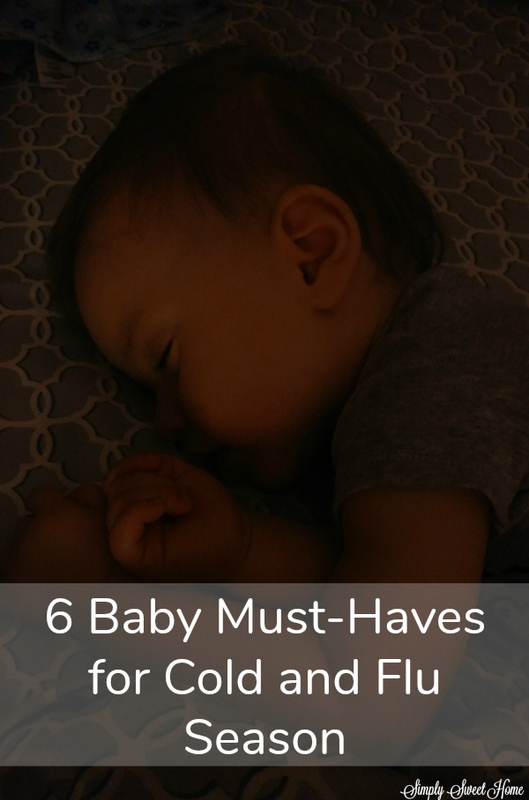 Today I am talking about some items that I consider to be must-haves for the cold and flu season if you have a baby. Before we get started I have a couple of disclaimers: First off, I am not a doctor. The medicines discussed in today’s post were recommended by our pediatrician, and I’m just passing along the information. Second, if your child is ill, always call your doctor for medical advice and to find out if you need to bring them in. It DOES work! 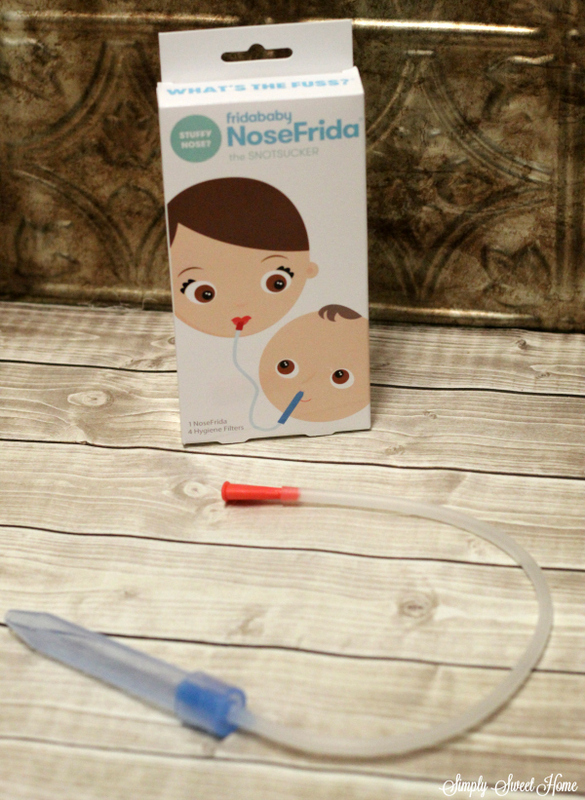 My son doesn’t like having his nose sucked out; he cries, and so it can be a little difficult for me to use it on him, but he doesn’t like the bulb syringe either, and this works so much better than the bulb syringe. We also have the Oogie Bear. It is also a nose cleaner and an ear cleaner. Next we have Infant Tylenol. This is no brainer, I’m sure! I always keep this on hand, along with Infant Motrin. Our doctor explained that a lot of people like to rotate between these two, but she just recommends going with what works. 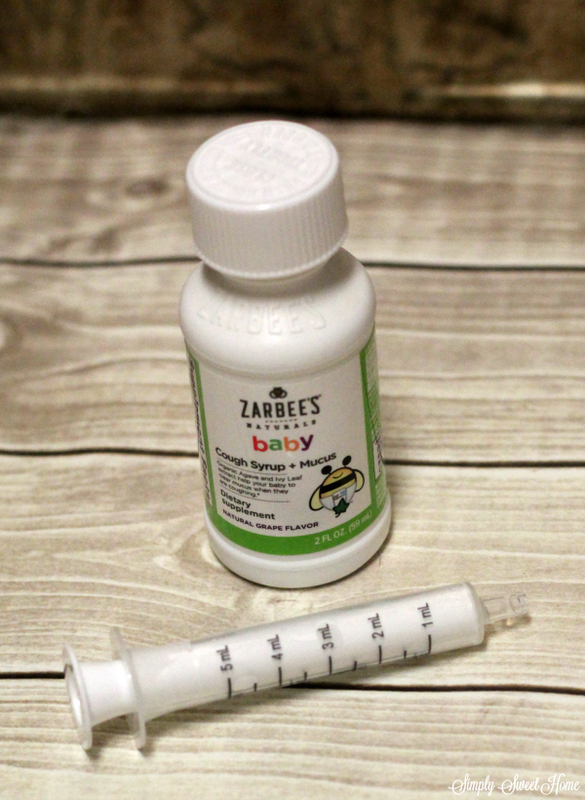 For running noses and coughs, our doctor recommends Zarbee’s Cough Syrup + Mucus. This is an all natural product. Thaxton is too young to have other cold medicines, including children’s medicines, and so an all natural product like this is really our only option. Our son loves the taste of this, so it’s very easy to give it to him. If you’re buying, I do recommend getting a couple of bottles. 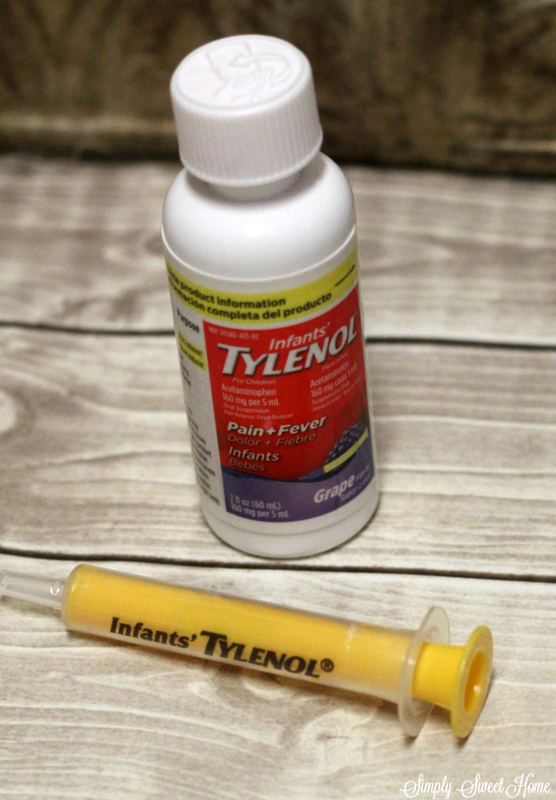 Our son had a stuffy nose for about a week, and the first couple of days we were giving him regular doses of this, and the dose was 4 mL each time, so about midway through the week, we had to go out and buy another bottle. The main ingredients in this medicine are agave and ivy leaf. You can go look up the benefits of those. I should also caution you to be sure you get the product that says, “Baby” on it if you have a child under two. Zarbee’s does have other products on the shelf alongside this one, which contain honey and should not be given to children under two. We also Zarbee’s Baby Soothing Chest Rub. This is also an all natural product with eucalyptus, lavender, and beeswax. It has a nice scent to it, and it definitely opens you up. I usually rub in on Thaxton’s chest and on the bottom of his feet before bedtime, and he’s slept very well when he was sick, so I’d like to think it helped with his breathing. 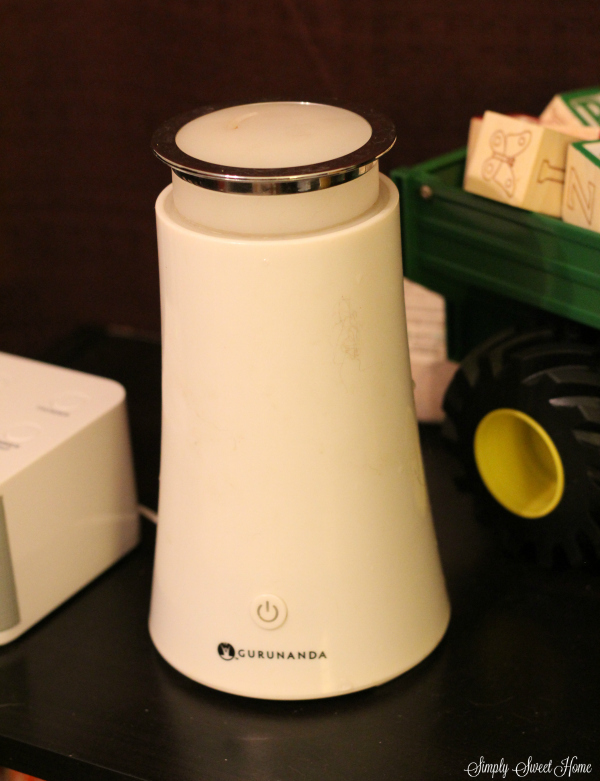 We love our Essential Oil Diffuser. We have all of the oils in this kit, and anytime someone has a cold or is congested, we use Breathe Easy. from this kit. 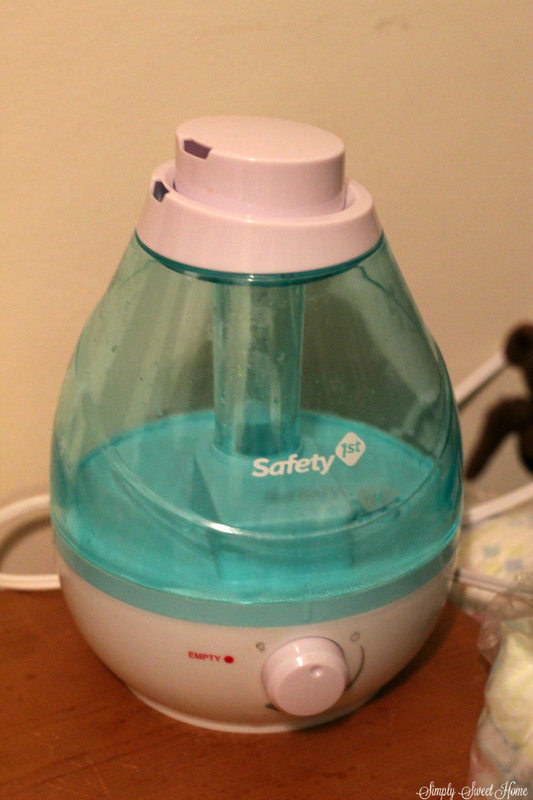 Finally we have a Safety First Cool Mist Humidifer. I know a lot of people swear by these and actually run them all the time. We only run one when Thaxton is congested. Again, I like to think that it helps. I really hope you guys stay well this winter and can avoid the cold and flu season, but if not, I really hope that you find these tips for baby helpful! And as always, I’d love to hear from you! If you have a tip or product you use during cold and flu season, especially sometime that can help, babies, toddlers, and small children, I’d love to hear about it. Leave your comments on this post, and also join the conversation on social media!